I post this article by Dr. Preston James because he summarizes the events occurring on this planet, which every American & Western citizen needs to know in order to avoid supporting the very people who intend our destruction. We wonder how our world got in such pitiful shape. We do not know how because the mainstream media is so tightly controlled that we have no idea of the truth. Without an understanding of what is truly happening, we allow a world to exist in which we live in the dark … we live on the edge of steep precipice, not knowing how easily we could fall off. 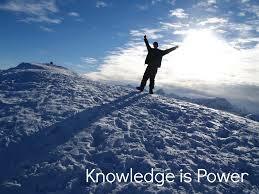 We prolong the hardships by our lack of knowledge. 99.9% of the people on this planet desire only to live in peace and to have enough to supply the needs of their family. However, our ignorance hampers the attainment of such a life. The Golden Age is divinely ordained and will emerge on this planet! However, we, the people determine how long we continue the hardships. This is where knowledge of the facts presented in Dr. James’ article plays a major role. We cannot create positive solutions to how our world got in this shape without knowledge of the TRUE ROOT CAUSES. It is for this reason that I post this article and encourage all to read it carefully. BY OUR LACK OF KNOWLEDGE, WE PROLONG THE HARDSHIPS! I warn you that you will want to stop reading and ignore the truth until you are forced to acknowledge it. But, consider how saturated our planet has become with the dark acts of those described in this article because we have lacked the knowledge to discern the true root causes. We, as obedient slaves to ignorance, have allowed ourselves to be kept in the dark. A Golden Age on this planet requires that we WAKE UP! Filed under: Israel, Khazarian Mafia, Preston James |	Comments Off on KNOWLEDGE IS POWER—THE POWER TO CREATE A LOVING, JUST, & PEACEFUL WORLD! Published by Veterans Today’s Preston James, Ph.D. NOTE BY NANCY: My heart aches as I think of all the millions of innocent people who have suffered from the lies with which Americans have been misguided and betrayed. The lies and betrayal will continue as long as the International Crime Cabal remains secretly in power. For this reason, their betrayal must be exposed! Americans, as a result of allowing ourselves to be misguided by not learning to think and research for truth independently, have also inflicted hardship on the very leaders who are working for the benefit of the people. Presidents Obama and Putin have been continually demonized, while those instigating the horrors on our planet have been, albeit innocently, blindly supported. Muslims have been accused of all sorts of heinous crimes they did not commit. Americans have paid a spiritual price too. We cannot develop into a true Love Being while clinging to beliefs that incorporate violence of one form or another—violence that does harm psychologically, mentally, physically, and/or spiritually. This Easter weekend, billions around the world have celebrated a violent act. We are taught, and have accepted into the worldview by which we live, a God who supposedly planned a violent means of salvation from an eternity of hellfire that He is purported to have created. Christians joyfully proclaim: “God loved us so much that He sent Jesus to die on the cross as a vicarious, blood sacrifice for the sins of humanity.” Many go into great detail describing the horrible pain Jesus surely must have suffered. Christians do not dare allow themselves to consider the absurdity of this teaching. A God of Absolute, Unconditional Love cannot think in violent, vengeful terms. A God of Unconditional Love cannot create a means of eternal punishment. Can you as a parent bare to even think the thought of requiring one of your children to die so that you can bring yourself to forgive another of your children? Why, then, can you unquestionably accept, even worship, a God whom you believe does so? I submit to you that this concept of a violent God is the basis for the capacity to accept war as a normal part of life. The fear of God, albeit unspoken, sets us up to fear those we are told will harm us. 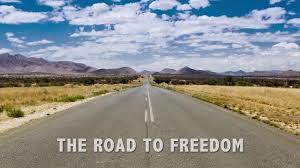 We have willingly given up freedoms in the name of being protected from those who intend to harm us. Would be give into fear if we knew the truth—that our Mother/Father God is a God of Unconditional Love and can only Love Her/His children with no thought of needing to forgive us for our mistakes. Having the courage to make mistakes and to learn from them is how we evolve spiritually on this 3rd dimensional plane! 2015 is the year humanity faces the cold, hard facts of just how misguided we have allowed ourselves to be. We are to also learn there is another, much more beneficial, loving way! But, first, we must be willing to hear the truth about what we have allowed and then, unite in creating a Win-Win World for Everyone! “Bibi made a huge tactical error disrespecting President Obama and ordering a five-man Mossad hit team to assassinate him. President Obama now has complete knowledge of this plot and how the five-man Mossad team is to be sheep-dipped as Palestinians and then sacrificed to provide cover. Have you noticed a change in President Obama’s actions lately and some serious rationality in regard to making peace with Iran so that a good trade relationship can be established? The reason? President Obama is getting some excellent advice from new American Intel consultants and is taking it. For Christians who may be feeling confused, the following articles may be helpful. Filed under: 9/11 Truth, Israel, Preston James, Veteran's Today |	Comments Off on AMERICANS! TWO MUST-READ ARTICLES! AMERICANS–DEMOCRATS & REPUBLICANS–NEED TO LEARN THE TRUTH ABOUT ISRAEL! 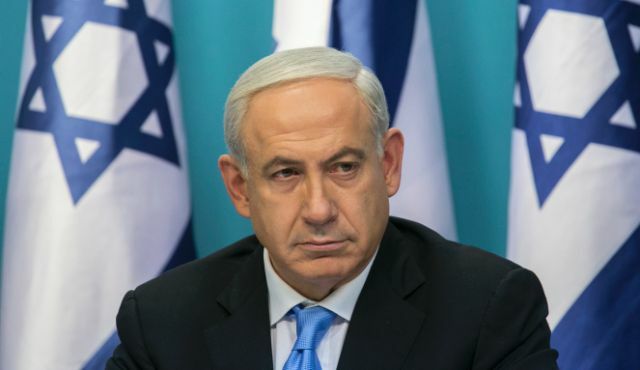 On March 3, 2015, Benjamin Netanyahu, prime minister of Israel, spoke to a joint session of the United States Congress. Afterwards, I perused the facebook timeline of a newly elected representative to the House. Although, I am acutely aware of how dumbed down Americans are, I was stunned to read the comments regarding Netanyahu. Here’s what a new representative to US House had to say: “I was thrilled to have the opportunity to hear Israeli Prime Minister Benjamin Netanyahu address a joint meeting of Congress this morning. This event served as a powerful reaffirmation of our nations’ joint allegiance to one another. After working for Disclosure of the ET presence with us and perusing almost every facebook timeline belonging to the US Congressional members, I am not surprised at the lack of awareness of congressional members; I am appalled! The mainstream media is tightly controlled; true investigative journalism no longer exists within the MSM. Our congressional members are as dumbed down as American citizens. It is the blind leading the blind. No wonder America is crumbling! Americans truly appear to know nothing about what is happening in our world. Instead, they support political parties like they support a football team. Matters not what the party is doing … they cheer anyway out of loyalty to the party..
Do Americans really want another World War? Do Americans really want to send their children and grandchildren to war so they can be killed or maimed/psychologically destroyed for life? If the answer is “NO,” then why cheer for those who are determined to start WWIII? The veteran journalists at Veteran’s Today are working hard to get the truth to the American people. They have been to war; they have been injured in war; they know first hand the horrors of war. They also have access to irrefutable Intel regarding the geopolitical events on our planet. Please read this article by Jim Fetzer, a former Marine Corps officer, presently the McKnight Professor Emeritus at the University of Minnesota Duluth, and writing for Veteran’s Today. Rather than rejecting the parts that do not conform to your political party’s rhetoric, do your own objective research and attempt to prove Fetzer wrong. You are very likely to find just how misled Americans are! Personal opinions and objective facts are two very different things! When a potential world war is at stake, only facts matter! The Republican Congressional leadership’s invitation to Netanyahu to speak before Congress in March was made without the agreement of the Democratic Congressional leadership or the White House and has set the stage for what looks to be a huge drama. In order for Americans, as well as the world, to understand what is happening, I am listing several articles that seem to me to relate to the approaching scenario. REMEMBER: the US = the Corporation of the USA – an unconstitutional secret government, i.e. the cabal. 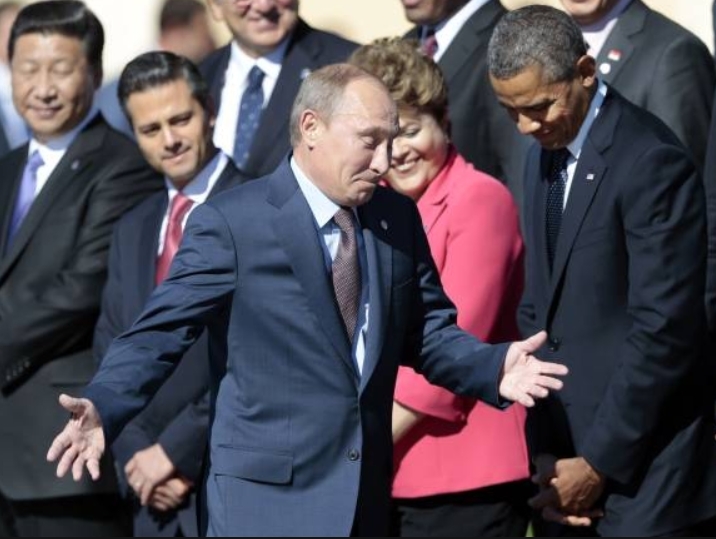 Are “Brer Barak” and “Vlad the Fox” having the last laugh? In the very near future, my intuitive knowing is that President Obama and President Putin will emerge as honorable men who continue to stand tall under intense adversity. NOTE BY NANCY: I am sharing this information as one means of protection for President Obama. All other presidential assassination attempts have been a total surprise to the people and, at times, an innocent individual was punished for the crime. By making this information viral, we can very likely prevent murder, plus the world will know who planned it. Regardless of political party affiliation, we need to do what we can to protect our President! I include the interview concerning this plot below, but am choosing not to listen. May we surround all concerned with Light and the Purple Transmuting Flame! “When Zionist Israeli Psychopath Prime Minister Benjamin Netanyahu visits US to speak before Zionist Israeli Controlled AIPAC Bought and Paid for Congress and Senate. Netanyahu was invited by the Republican speaker of the House, Zionist John Boehner, to address the Congress on March 3, 2015 an invitation Boehner originally described as bipartisan? Is John Boehner a co-conspirator to the possible murder of the President of the United States of America? Gordon Duff Senior Editor of Veterans Today released information detailing Israeli’s role in the False Flag terrorist plots by the State of Israel in Belgium and one to be in London. 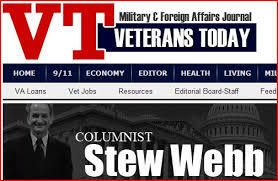 This is a must listen to broadcast on Veterans Today Radio News Reports Stew Webb host February 5, 2015. Does this mean John Boehner and others in the U.S. Congress and Senate are plotting the Murder of the U.S. President Obama????? WILL END THE TRUTH EMBARGO? BECAUSE THE PEOPLE OF THE WORLD HAVE BEEN LIED TO! HERE IS ONE EXAMPLE … AN EXAMPLE THAT HAS COST MILLIONS OF LIVES & FOR WHICH AMERICANS HAVE UNKNOWINGLY SUPPORTED WITH THEIR TAX DOLLARS. …. It has now been admitted in Israel by scholars that they have no ancient Hebrew Blood, but are Khazarians. This new peer-reviewed genetic discovery from advanced genome research conducted at John Hopkins by a Medical Doctor (who just happens to be Judaic) is referred to as the “Genome Factor” and is a major game changer directly motivating Israel to seek another homeland such as in the Ukraine which is where they originally came from. 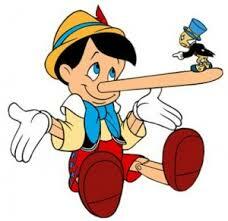 EVERY INDIVIDUAL HAS THE INALIENABLE RIGHT TO KNOW TRUTH! Filed under: Israel, Israeli-Palestinian conflict, Lies we have been told. |	Comments Off on WHY DOES THE WORLD NEED TO SIGN A PETITION THAT WILL END THE TRUTH EMBARGO? BECAUSE THE PEOPLE OF THE WORLD HAVE BEEN LIED TO!